This gold leaf covered Sacred Power Pid ta is extremely rare to find, with only the normal powder version without gold leaf still sometimes appearing for rental. 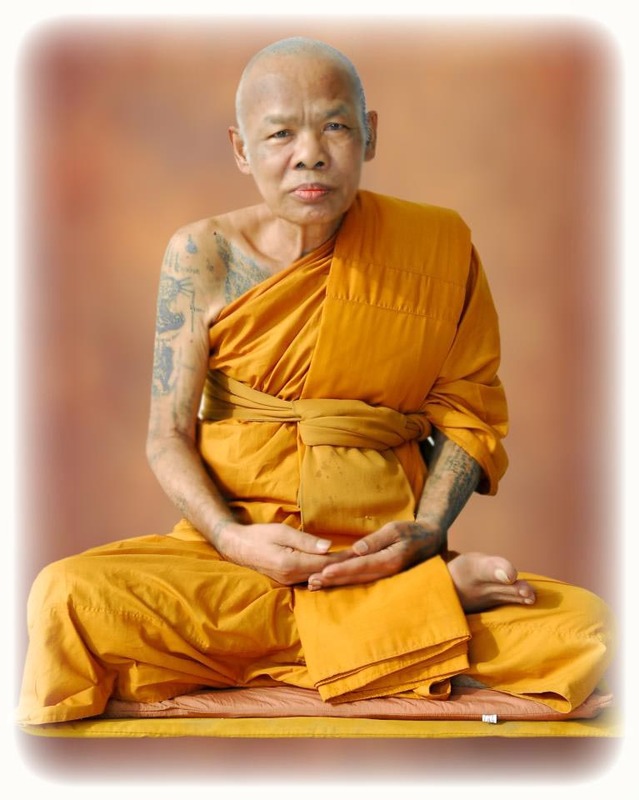 Luang Por Niyom is a Sak Yant Master and Adept Amulet maker of the Chon Buri district who passed away in 2552 BE. 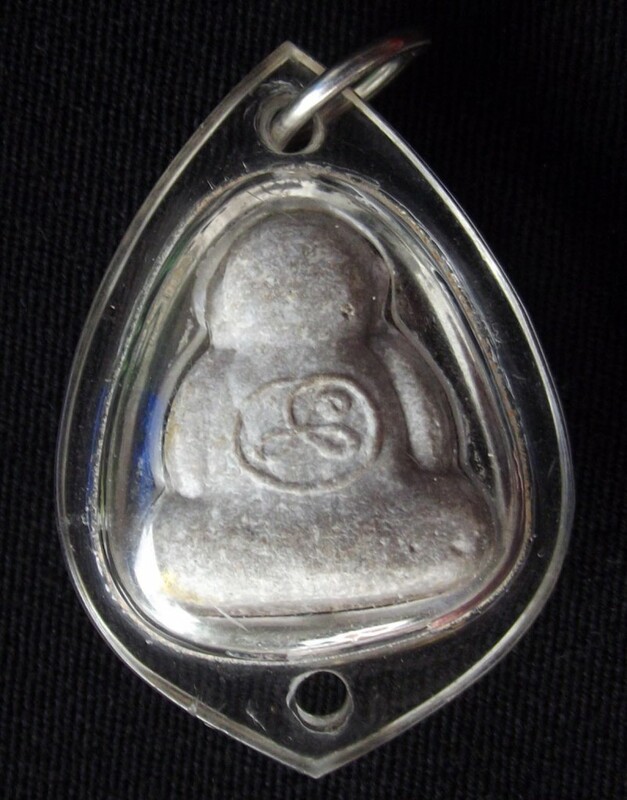 He was a very Kind and Friendly monk with a devout following, who, since his passing has become ever more popular for his amulets around the whole country. The amulet is made from visibly fine and rich Muan Sarn with a very high grade of Pong Puttakun, which can be seen rising to the surface as a fine white mildew powder. 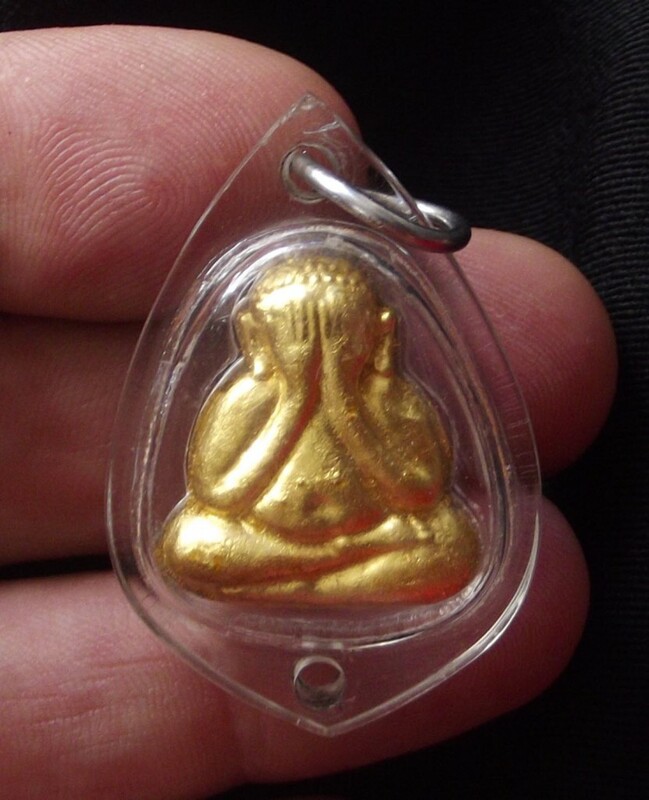 This shows how difficult it has become to obtain an authentic amulet from the time when Luang Por was still alive. 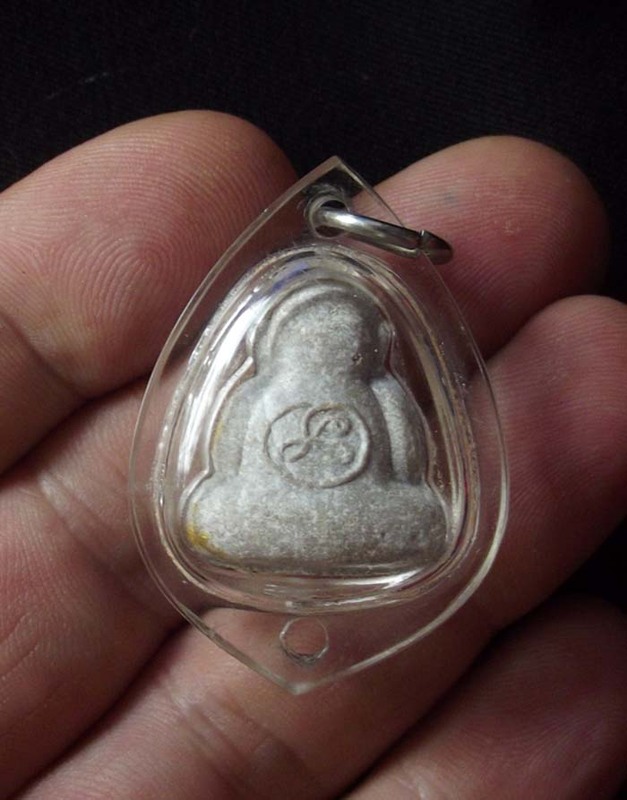 Many of the Devotees of Luang Phu Tim are turning to Chonburi Master Luang Por Niyoms amulets as a powerful alternative to Luang Phu Tims Sacred powder amulets, for they are seen to be of great power and similar richness of composition of sacred powders, but still for now at a much more affordable price (for now). 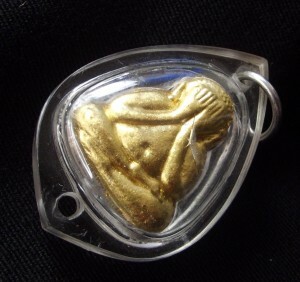 The Pid Ta Sariga is one of Luang Pors more popular and famous amulets and gained fame due to many success stories both for Maha Lap (money and fortunes) and for Kong Grapan/Klaew Klaad (evasion of deadly accidents and invincibility blessing), making the amulet a proven and tested lifesaver and wealth increaser. 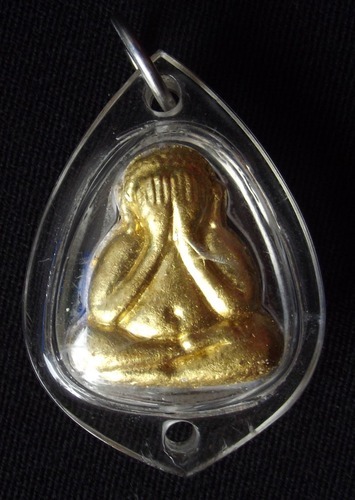 Luang Por Niyom was a special Monk with special powers, who is only now becoming publicly heard of outside of his Province and in International Amulet Scene.